Posted on November 8, 2013, in The Guest List and tagged The Guest List. Bookmark the permalink. 28 Comments. Thanks, all the credit to Fernando though, awesome list! Would love to have you!! Can’t wait to see what list you compile :). That is a very good list. I cannot disagree with any of the names. Great work! I know, one of my favourite films. Foster was amazing in it, one of his best, if not the best performance he’s ever given. I agree with you 100% on Carey Mulligan. She is a breath of fresh air and I have loved her in everything I’ve seen her in. I hope she continues to shine and starts getting the props she very much deserves. Indeed, she’s so pretty :)…oh yeah, and a wonderful actress! Fine, fine list Fernando. Great to see Rockwell in there. I’ll have a little think on a list and get back to you Joseph. Sweet! Would love to have you Mark! No, no, thank you Fernando for contributing! Awesome list! Great list. 🙂 I loved Logan Lerman in Wallflower! Great list of actors! 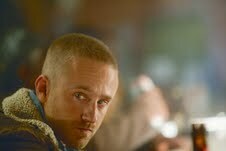 It’s funny that I don’t remember Ben Foster even though I’ve watched Yuma. Superb list Fernando, I knew Rockwell would make it on here! Some other fantastic names too such as Carey Mulligan and Tom Hiddleston too, all fantastic actors. Great list, Fernando! Casey Affleck is such a good actor and I have often wondered why he hasn’t made more impact as a leading man! Still waiting for yours ;). You can choose any topic you’d like :). Just would like to have your contribution! 🙂 Thanks Joseph. Let me think on this, I am sure that I can wrangle something! Excellent choices Fernando!! The only one I’m just ok with is Andrew Garfield as he’s got the Spider-man franchise so I wouldn’t call him underrated. But Sharlto Copley, Ben Foster, Tom Hiddleston, Casey Affleck all deserve better and bigger roles! YES on Loki movie, I’m sure it’ll be a success given everyone seems to love Hiddleston! Completeley agree. Not a big fan of Andrew Garfield, except for The Social Network. Nooo Fernando, noooo! I take it back! I’m sorry! Great list, Fernando. I would not include Carry Mulligan though. She’s been very hit and miss with me lately and I think any time you play opposite Leo, you’re no long “underrated”. In fact, I’d substitute her for another actor from Gatsby with Joel Edgerton. And of course, you know I’m happy to see Rockwell on any list that’s positive. It’s funny, season 3 of the As You Watch podcast, we’re doing this same discussion every week. We pick an actor we fill is underrated or under the radar and do a whole episode around them. First up was Sam Rockwell and this newest episode is about Paul Giamatti. Great list, agree on a lot of these.